And His glory will appear upon you. We are going to see heaven and earth come back into agreement and alignment. There is going to be a major shift. That is not to say things are necessarily going to be easier: there is a shaking coming, but with a harvest in the midst of it. We need to mentor, teach, disciple that harvest, to see them bring the fullness of heaven to earth. There will be great darkness, but also great light that draws people in, because it demonstrates what the kingdom is. The mountain of the house of the Lord will be lifted up above all the other mountains. All nations will stream to it, saying ‘Teach us! You guys are living in health and wholeness and privilege and blessing and favour and protection, when all around everything is falling apart’. Everything of this earthly dimension will be shaken, but what is of God and His government will stand firm. How are we to live like that? Amongst other things we are to have new power sources, ability to terraform, plants that produce all year round, and a new economy. We will live in the overlap of heaven and earth. We will be not only a Joshua generation, but a Joshua nation. The government of that Joshua nation will be a reflection of the government of heaven. God intends us to be part of that government – that is why one of the four faces of God is a man, and why Adam was commanded to have dominion over the earth. The shaking is going to show what is of the Kingdom and what is not. We will see cities of refuge set up, embassies of heaven on earth, and they will begin to take ground: the dominion mandate that was given from the beginning will be outworked: we are going to have dominion as sons of God, representing Heaven on earth, seeing the Kingdom of God fill the earth as it is in Heaven. Cities of refuge will have a blueprint carrying governmental authority to administrate the Kingdom. They will operate under the laws of heaven, not earth. A city of refuge is not necessarily a physical city, but it is a place of government, a place where God’s Kingdom is established, where the administration of heaven is outworked. We will be living under the higher laws of the realm of the spirit. And when medicine has no cure for a disease yet the people of God live in health, then people in the world are going to want to come and enjoy that health too. If a plague is wiping out the world population and we are living in health then we will have a queue a thousand miles long coming to get healed. People will come to that which is demonstrating authority, to cities of refuge which are operating in a completely different governmental system. We will be operating at a higher level of creativity, not necessarily using technology but through organic things. Abilities Adam and Eve had, such as the ability to control sound and light, vibrational frequency and resonance, will be restored to us. So we will be able to do things in a totally different way from the world, and we will need to be proficient in them by the time the world’s ways do not work anymore. Just as the tree of life brings forth fruit every season, there will be continual harvest, continual health, and continual blessing. It will be a demonstration of what heaven is like so that people can come and experience it for themselves. As a result, along with a continual harvest of food we will also see a harvest of labourers, which is why we need a Joshua generation to mentor them, a people who carry that authority to expand the Kingdom. They will be storehouses, like Joseph built in the years of plenty. After he was promoted out of the dungeon to the second highest position of government in Egypt, he took 20% of the harvest for seven years and stored it. 20% of the world population is about a billion. We will see a billion people coming into storehouses that are ready to receive them. Where the storehouses are not ready, the harvest will not come in, so we want to be ready! And when those storehouses are filled, when they are the only ones who have the answers, the whole world will come to them. A city of refuge is not for God’s people to hide away from what is going on in the world. The ‘preppers’ have their underground bunkers and they have all their food and water stored up because they think they need to be ready for something terrible that is about to happen. That is all a pessimistic, defensive mentality, a mindset of rescue and defeat. Cities of refuge will be beachheads of heaven on earth, administrative centres from which the Kingdom will expand to fill the earth. The mountain of the house of the Lord really will grow into a mountain that fills the whole earth, as Daniel prophesied. That is a very different scenario to the one the ‘doom and gloom’ prophets are envisaging. We do not have to be fearful of anything that might happen because we carry God’s Kingdom government as sons of God. God is looking for people to engage with what was in His heart from eternity, begin to cultivate that in the ‘what is’, so that they can release ‘what was’ into ‘what will be’. God is beginning to capture our hearts, drawing us to the desires of His heart. Then as we cultivate that desire He will release to us the authority to pursue and fulfil it. And it is better to be an amateur in the new things God is doing than a professional in the old. If God has placed a desire in your heart for such a thing then you do not have to be a superstar in ministry or even an existing leader; you can call it into being. You can get a blueprint and a strategy from heaven for it. You can call in others alongside you and begin to establish the foundation for it. It may look completely different from any other city of refuge, regional apostolic centre or embassy of heaven, but it will be uniquely positioned to reach exactly those God intends it to reach, a place where people can be brought out of the world and come into a place of dynamic encounter with Him; a place where heaven is manifested on earth. Ambassadors Of Heaven 2012 YouTube video and mp3 audio teaching series by Mike Parsons (does not include the material in this blog post). 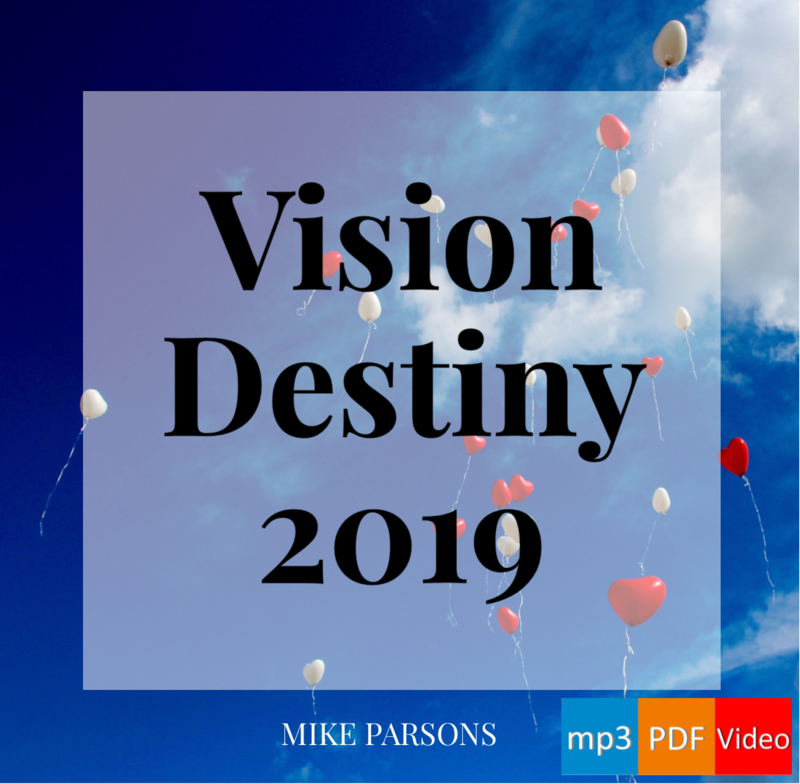 Transformation (blog and audio series by Mike Parsons). If our free or paid resources are a blessing to you, please consider making a donation to sow into and support this ministry. Thank you! Are you part of the Joshua Generation? Over the past few posts we have looked at the first 20 characteristics of the Joshua generation. Before embarking on the other 20, this time I just want to explore something I have hinted at before but not really opened up fully with you. Remember how the Moses generation failed to enter in? They came out of Egypt but turned back instead of entering the Promised Land. The reason their mistakes are recorded in scripture is so that we can learn from them. For I do not want you to be unaware, brethren, that our fathers were all under the cloud and all passed through the sea; and all were baptized into Moses in the cloud and in the sea; and all ate the same spiritual food; and all drank the same spiritual drink, for they were drinking from a spiritual rock which followed them; and the rock was Christ. Nevertheless, with most of them God was not well-pleased; for they were laid low in the wilderness. Now these things happened as examples for us, so that we would not crave evil things as they also craved. Do not be idolaters, as some of them were; as it is written, “THE PEOPLE SAT DOWN TO EAT AND DRINK, AND STOOD UP TO PLAY.” Nor let us act immorally, as some of them did, and twenty-three thousand fell in one day. Nor let us try the Lord, as some of them did, and were destroyed by the serpents. Nor grumble, as some of them did, and were destroyed by the destroyer. Now these things happened to them as an example, and they were written for our instruction, upon whom the ends of the ages have come (1 Cor 10:1-11). The Moses generation did not cross over into their Promised Land because they saw they would have to face giants. Will we cross over into ours? The Joshua generation are going to equip a harvest of a billion labourers, equip them in the supernatural, to bring heaven to earth. Those billion are just the harvesters, who will eventually bring in the full and final harvest at the end of the age. There will need to be that many of them because the battle is going to become more and more intense, as light comes into the darkness, challenges it, and overcomes it. Those harvesters are the Jesus generation, the ones who will see Him return. Some of those reading this will be of the Joshua generation and some of the Jesus generation; I hope none of you are of the Moses generation – I do not want you to stay in the wilderness. So here we are. God is outworking His purposes, and the ends of the ages have come: we need revelation from Him if we are to engage with how things are in the heavenly realms and bring them into the earthly realms. That is what it means when we pray ‘on earth as it is in heaven’: it is up to us to bring heaven to the earth. The Joshua generation will be forerunners who have spied out the land. What we may not have realised fully until now is that our Promised Land is not only about earthly things. To operate in the fullness of the kingdom, we need to operate in heavenly as well as earthly realms. Some of our spying out will be done in the realms of earth, but some of it will be in the realms of heaven. God offered Moses’ generation the land of promise, but the vast majority of them said, ‘We can’t go in’. And earlier in their journeying, He had been willing for the whole nation to meet with Him on the mountaintop, but they were afraid of the thunder and lightning, the fire and the smoke, so they said to Moses, ‘You go, and tell us what God says. We can’t go in’. In the same way God offers us all access to the heavenly realms now, because Jesus has opened them up for us – that is what was signified by the veil of the temple being torn in two at the moment of His death. His purpose is that we can experience everything He intends for us. Like the children of Israel, though, many are saying ‘We can’t go in’. The kingdom of God is about government, about authority, about rulership. God wants us to learn how to rule in our own lives, and how to rule in the realms of the spirit to bring heaven to earth. We need to learn how to lead and equip the Jesus generation to possess the land of promise. The Hebrew word for ‘possess’ means ‘to inherit by seizing, dispossessing and become heirs’. We were made as spirit beings, to have access to the spiritual realms. When Adam was first created, he had access to the heavenly realms. There was nothing to stop him. Only sin [essentially a loss of identity] caused him to lose that access. The glory that he was clothed with was removed. Let me put it like this: it is as if a bandwidth of revelation was removed from him, so he could no longer see into the things which were of a higher bandwidth – the realms of heaven. Now, everything about God’s kingdom has a beginning and an end, but the beginning and the end are always the same. That is why Hebrew thinking is always circular, not linear like Greek thinking. Linear thinking speaks about layers of heavens – first heaven, second heaven, third heaven – but the heavenly realms are not really that way at all. They are dimensions of authority. It may have seemed simpler to our western minds to express it as first/second/third, but it has been misleading. We read ‘third heaven’ in Paul’s writings and leap to the conclusion that there must at least be layers below that of a first and second heaven through which we have to travel to get to the third. Hebrew thinking implies no such thing. For God’s kingdom to come on earth as it is in heaven, it will involve us fulfilling Adam’s mandate: to rule in the spirit realm and by so doing to reconfigure the natural realm. When we fulfil that mandate, we will see God’s glory fill the earth (Num 14:21). We have to have experience of operating in the heavenly realms ourselves if we are to bring other people into it, and that is what God is doing amongst His people right now. He is opening things up so that we can gain that access, and begin to operate in two realms, earthly and heavenly. We learn to rule in heavenly realms, and then we bring that rule to bear in the realm of the natural. Before we can rule in the earthly realm, we need to operate in authority in heavenly places. We have to go up and down before we can go to and fro. The trouble is, we have tried to bring heaven down while standing in the earthly realms. That is why we have been beaten up so much by the enemy: we have been trying to come against the spiritual forces of wickedness and darkness with the earthly dimension of authority we have here. We need to bring heavenly authority in order to defeat them. It is a different dimension of authority. To exercise heavenly authority we need to go up, and bring heaven down with us. On the island of Patmos, in the spirit, John heard a voice saying ‘Come up here’ (Rev 4:1). That voice is still speaking to us today. Do you hear it? Soundtrack: On Earth As It Is In Heaven – Chris McClarney (feat. Kim Walker-Smith). Soundtrack: Come Away – Jesus Culture (via You Tube). *Technology permitting: automated process on receipt of payment and completion of online registration form. Terms and conditions apply. The Joshua Generation are those who will enter the land of promise, and enable others to do the same. We have looked at 10 characteristics of that generation so far, and there are plenty still to come (so if you are new to this blog, it would probably be best to go back a few posts if you want to get the most out of what we are in the middle of here). 11. The Joshua Generation will be equipped to enable the next generation to possess the land. Joshua the son of Nun, who stands before you, he shall enter there; encourage him, for he will cause Israel to inherit it (Deut 1:38). We have to cause others to inherit. This generation who are going to be saved, who are going to be the labourers for the future: we have to enable them, to disciple them in the supernatural, to encourage them to inherit everything in the Promised Land. We must not sell them short in the fullness of what their inheritance is. 12. The Joshua Generation will witness the awesome overcoming power of God. We have seen the power of God at work in increasing measure over the past few years, seen quite a lot of signs and wonders, different miracles and so on. Those have just been a taster of the things that are coming. Do not fear them, for the LORD your God is the one fighting for you…O Lord GOD, You have begun to show Your servant Your greatness and Your strong hand; for what god is there in heaven or on earth who can do such works and mighty acts as Yours? (Deut 3:22, 24). No counterfeit can begin to match the true power and authority of Almighty God. Just as Elijah did with the prophets of Baal, there will be some among you who will challenge the forces of the enemy and call down fire from heaven, You will challenge some of those who do supernatural signs in the occult realm, and in the New Age realm; you will challenge them to a test of authority and power. And our God wins; therefore you win, you overcome, and you demonstrate true spiritual authority and power. It is going to be awesome! You are going to win if you will step out in the confidence of the things you have already done, having your faith built up by the things you have already seen. That is what it means not to despise the day of small things but to see it as a time of preparation for the things that are coming. 13. The Joshua Generation will be strong and courageous. If we are going to need to be strong and courageous, it is because there is something to fear or to overcome. And we will find that we too have giants to overcome, who are exercising authority in heavenly places. 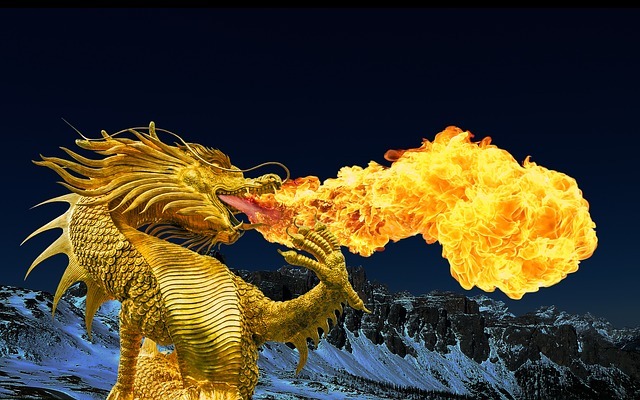 There are dragons to slay, who are robbing the people of God. True identity and inheritance are being held back from God’s people and it is for us to see them released. Then Moses called to Joshua and said to him in the sight of all Israel, “Be strong and courageous, for you shall go with this people into the land which the LORD has sworn to their fathers to give them, and you shall give it to them as an inheritance. The LORD is the one who goes ahead of you; He will be with you. He will not fail you or forsake you. Do not fear or be dismayed” (Deut 31:7-8). God is with us. He is going before us. He is preparing the way. He is going to be with each of us and with all of us in this fight and in this battle. But there are going to be things we really do have to face. Some of the spiritual dimensions of things we have to contend with – even in this realm – are going to spook a lot of people. As I have mentioned before, having been into developing nations where spiritual warfare is much more open, and seen what goes on there when evil is challenged, I expect those things to happen here too. Witch doctors who shape-shift, who change form in front of you? We haven’t seen that here – yet. The big ministry teams in some of those places have what they call the ‘snake-pit’, where they carry out deliverance, because some of the people they are praying for will change into serpents and werewolves and so on. There is a lot of stuff in the media, films and TV which is beginning to make this seem more acceptable to the Western mind, almost like it is quite good really to have werewolves and vampires; and that is all part of the enemy’s schemes. Some of the spiritual power that the enemy has will operate in that dimension; and we need to know that we have authority over them. Jesus said that as it was in the days of Noah, so it will be at the time of the coming of the Son of Man (Matt 24:37). We know the Nephilim were around at that time, and as the coming of the Son of Man approaches we are going to need to be equipped to handle spiritual warfare on a scale we haven’t yet seen. 14. The Joshua Generation will be filled with the spirit of wisdom. We will definitely need the wisdom of God to know what to do in the face of some of the situations we are going to find ourselves in. Wisdom will be our equipping, connecting us to the God who knows all things. He is before all things. Therefore we can have a heads-up on the future, and on everything the enemy is planning, so that we can take a stand and be ready to overcome it. Now Joshua the son of Nun was filled with the spirit of wisdom, for Moses had laid his hands on him; and the sons of Israel listened to him and did as the LORD had commanded Moses (Deut 34:9). There will be an authority that comes with that wisdom, which is going to inspire people to press in and receive their inheritance. 15. The Joshua Generation will meditate on God’s word day and night. This book of the law shall not depart from your mouth, but you shall meditate on it day and night, so that you may be careful to do according to all that is written in it; for then you will make your way prosperous, and then you will have success (Joshua 1:8). Meditating on the word is a key to entering into the spiritual realm; a key to understanding how to access the realms of heaven, seeing the word of God as a doorway into the realms of the spirit. Again, meditation has become a taboo in the church because of Transcendental Meditation and other forms of eastern meditation, which empty people’s minds. Biblical meditation, by contrast, fills people’s minds, fills them with the truth, and teaches them to engage with the eyes of their heart. As we learn to meditate and to open up our spirit to that realm of God’s purposes, the eyes of our heart will be enlightened. As we engage our spiritual imagination, we can start seeing the Holy Spirit moving on people, start actually seeing angels (and demons). We can start seeing – and entering into – the realms of heaven. 73. A literal 1000 years? Scripture teaches us that Satan is bound for a thousand years. In this short post I just want to look more closely at that figure and consider whether it is literal or symbolic. To do that, let’s look at some examples of how the Bible uses it in other places. 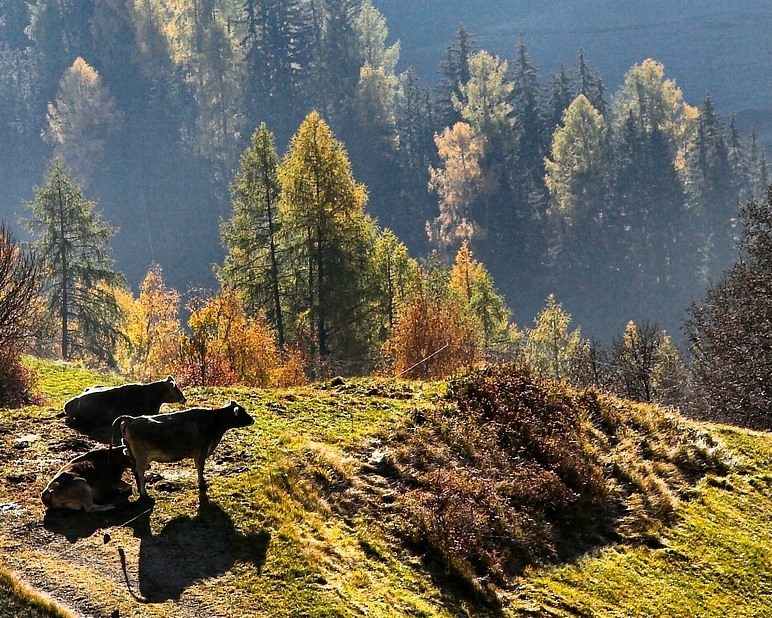 For every beast of the forest is Mine, the cattle on a thousand hills (Ps 50:10). So are the cattle on the 1001st hill not His? Clearly this is not a literal 1000 hills, it is just a big number – in fact it means all of them. For a thousand years in Your sight are like yesterday when it passes by, or as a watch in the night (Ps 90:4). Are a literal thousand years exactly like a day to God in heaven, or is it really saying that heavenly things are eternal whilst earthly things are temporal (and temporary)? And it is the same with this scripture: He has remembered His covenant forever, the word which He commanded to a thousand generations (Ps 105:8). If that is literal, you are in trouble if you are part of the 1001st generation! Will the 1001st generation miss out on His covenant blessings? Will His word no longer be operating? That is not what it means at all. You might think I am deliberately picking references to the number 1000 and 1000 years which are not literal. But I cannot find even one Old Testament reference to a literal 1000 years, nor did Jesus ever teach about it or even mention it. There is nothing in the epistles to indicate that there would be a significant period of a literal 1000 years. We have one short passage in Revelation 20, and people have built up a massive theology around it being a literal 1000 years when there is nothing else in scripture to back it up. The conclusion has to be that the number 1000 is symbolic. It is made up of 10x10x10, and 10 is the number of fullness. The ‘thousand years’ is the whole of this period we are living in. And when everything is fulfilled, Jesus will return. Author Freedom ARCPosted on Friday 9 November 2012 Wednesday 14 June 2017 Categories Prophetic TimetableTags end times, Eschatology, Millennium, Old Testament, revelation1 Comment on 73. A literal 1000 years? We saw last time how important it is that our faith is in victory, in overcoming, in seeing God’s kingdom fill the earth. Kingdom and Covenant theology is a theology of victory. More and more people are starting to realise this because of the nature of what God is saying prophetically in these days. If you are someone who believes Jesus is going to come and rescue us, you are going to struggle to reconcile what God is saying with that belief. How does it fit? It doesn’t: Jesus is not going to come and rescue us: we are going to be victorious. In succeeding periods of church history, people tended to hold different views on the book of Revelation. I want briefly to make it clear how we see things. Firstly, Revelation is a historical book which deals with God’s covenant judgment on Israel and Jerusalem. Also, Revelation illustrates the triumph of the church through history, overcoming all persecution. The Revelation of Jesus Christ, which God gave Him to show to His bond-servants, the things which must soon take place (Rev 1:1). I’m sorry, 2000 years later is not ‘soon’. Now I know that for God, everything can be now. Bur this was not written for God, it was written for people to read and be encouraged and comforted in the midst of the persecution they were facing. It would have been very poor comfort to say that judgment was coming soon, if in fact it was going to take centuries. The book of Revelation was written before AD 70 to servants of God who were alive at the time. It was written about events which would soon take place. And what soon took place was the destruction of Jerusalem. John repeats it, so there can be no mistake: ‘the time is near’. ‘Blessed is he who reads and those who hear the words of the prophecy, and heed the things which are written in it; for the time is near’ (Rev 1:3). “And behold, I am coming quickly. Blessed is he who heeds the words of the prophecy of this book… Yes, I am coming quickly” (Rev 22:7, 20). And Jesus came quickly: within a few years of this being written, He came in judgment upon Jerusalem and it was destroyed. While we are considering Revelation, I also just want to look at the only scriptures in the Bible which actually mention a thousand-year reign. Then I saw an angel coming down from heaven, holding the key of the abyss and a great chain in his hand. And he laid hold of the dragon, the serpent of old, who is the devil and Satan, and bound him for a thousand years; and he threw him into the abyss, and shut it and sealed it over him, so that he would not deceive the nations any longer, until the thousand years were completed; after these things he must be released for a short time (Rev 20:1-3). Then I saw thrones, and they sat on them, and judgment was given to them. And I saw the souls of those who had been beheaded because of their testimony of Jesus and because of the word of God, and those who had not worshiped the beast or his image, and had not received the mark on their forehead and on their hand; and they came to life and reigned with Christ for a thousand years. The rest of the dead did not come to life until the thousand years were completed. This is the first resurrection. Blessed and holy is the one who has a part in the first resurrection; over these the second death has no power, but they will be priests of God and of Christ and will reign with Him for a thousand years’ (Rev 20:4-6). When we read ‘the beast and his image’ we immediately think it must be future. But if you think about the beast and his image in terms of the Roman destruction of Jerusalem, you will read this in a different light. It has already happened. And this is not a bodily resurrection – the scripture specifically says it was the souls of people which came alive. So this has happened before a bodily resurrection, not after. If Jesus had already returned, there would already have been a bodily resurrection, and that is not the case. ‘Priests of God… will reign with Him for a thousand years’: we know the language about being a royal priesthood belongs to us. So this is talking about us, and it is talking about something which happens on the earth. We have already seen that Satan was bound (Rev 20:2). When is or was that? Look at Matt 12:28-29: ‘But if I cast out demons by the Spirit of God, then the kingdom of God has come upon you. Or how can anyone enter the strong man’s house and carry off his property, unless he first binds the strong man? And then he will plunder his house’. All deliverance that we see today is on the basis that the strong man is already bound. Otherwise we would not be able to cast demons out. If Satan were not bound, we would not be able to do what we are doing right now. If he were deceiving the nations, no-one would be getting saved. Remember the Great Commission: Jesus sent his followers out into the whole world to disciple the nations. It is possible for us to do that because Satan is bound and not able to deceive them. His power is limited. In John 12:31 Jesus said “Now judgment is upon this world; now the ruler of this world will be cast out” (my emphasis). And in Luke 10:17-18, ‘The seventy returned with joy, saying, “Lord, even the demons are subject to us in Your name.” And He said to them, “I was watching Satan fall from heaven like lightning”’. It already happened. Jesus first bound Satan in the wilderness, when He did what Adam had failed to do in overcoming temptation. Then He went further, in releasing authority on His disciples to go out and minister because of that. The fact that the disciples were ministering in kingdom power showed that Satan had no authority any longer. But then Jesus went on to actually conquer death: the wilderness had dealt with spiritual death, the cross dealt with physical death. ‘When He had disarmed the rulers and authorities, He made a public display of them, having triumphed over them through Him’ (Col 2:15). And if Satan is bound now, then the thousand years, the Millennium, must also be now. That is what the scripture says: he is bound, and remains bound for a thousand years. So we are living in the time right now when God’s kingdom is active on earth, because Satan is bound. It is not an exact, literal 1000 years. Satan will be loosed. That will be just before the end. I believe there will then be an increase in Satan’s power, because we are going to have to overcome him. Warfare will be much more open, but God’s church will be raised up in light, as the mountain of the house of the Lord. And that church will be victorious. In the past couple of posts we have briefly sketched some of the widely-held views about the Millennium. So what did the early church believe about the scriptures we have been considering? And what has the church believed through the centuries? Up to AD 70 most of the focus of teaching was preparing believers to live in that persecution leading up to Jesus’ coming in judgment upon Jerusalem. Initially, then, the prevailing conditions were persecution by Jews. After AD 70 persecution continued, but it was persecution by the Romans. The church took on a Jewish apocalyptical view of a literal kingdom on earth. Some thought that the kingdom might be before Jesus returned; some thought it might be after. It was still a very difficult time, and they were looking for Jesus to come and do something. 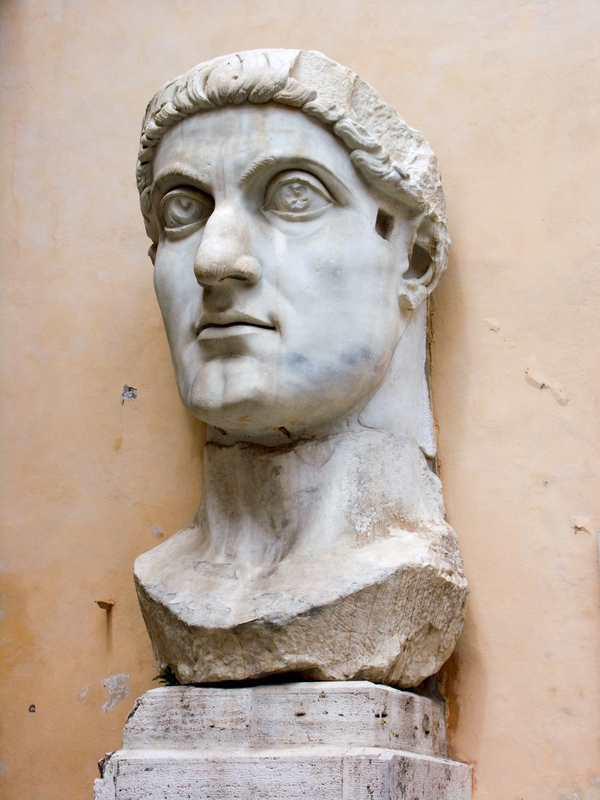 A major change happened for the church with the conversion of the Roman Emperor Constantine in 310 AD – and not all of it good. The church was now accepted by the political authorities, and it was OK to be a Christian. But the church was also controlled by those political authorities, so that Greek thinking and Greek influence began to pervade it. At this time the prevailing view was amillennial: the old interpretation (which had made a lot of sense under persecution) seemed not to relate so well to the changed conditions, so people began to interpret things in a less literal way, and say it must all be spiritual. You can see the Greek mindset having its influence in that distinction. Political control continued into the medieval period, 596-1517 AD, as church and state started to mix together. Politically motivated and powerful popes, the crusades, the Holy Roman Empire, the whole idea of Christendom: all these arose during this time. The church was used by those in power to exercise control. Hardly anybody could read the Bible for themselves because it was available only in a not-very-accurate Latin translation, and that meant the priests had control of the whole system. Postmillennial theology became the norm. Their expectation was that things would get better, that the church would increase to fill the world – but to achieve that they expected to use the sword, and to compel people to become Christians by killing those who would not comply. The preaching of the gospel was certainly not done in a way we would recognise today. After that came the Reformation (1517-1648). The truth began to be restored to the church and people began to question both the spiritual and the political authority of the Roman establishment. They continued to hold a postmillennial view, still expected things to get better, and saw the restoration of truth as part of that process. 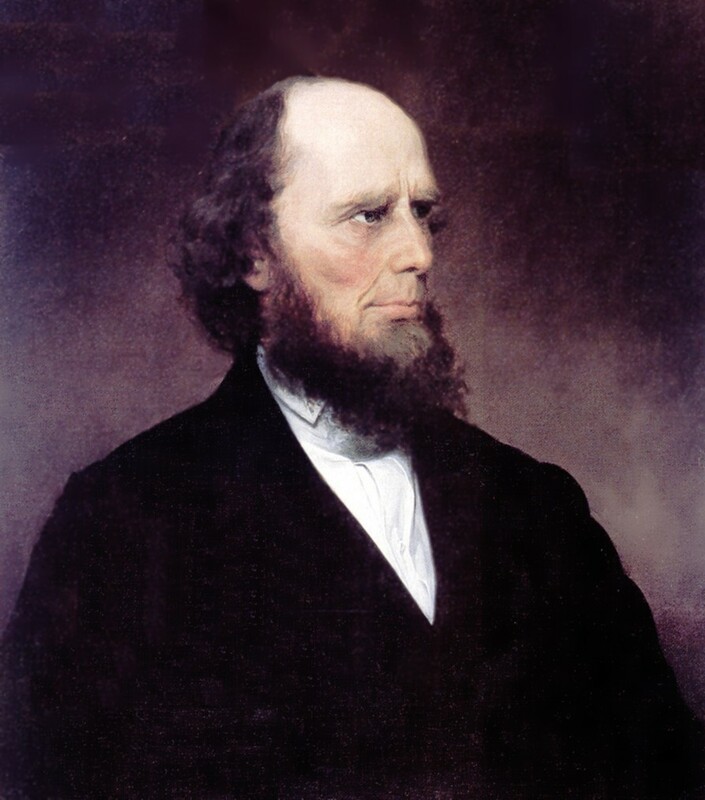 Then we come to a period where the Holy Spirit was poured out in revivals in both England and America: Wesley and Whitfield and so on in the UK; the First and Second Great Awakenings in the USA with Jonathan Edwards, Charles Finney (photo) and others. Those revivalists were predominantly postmillennialists: they believed that Jesus would be coming back after the church had succeeded in its mission. Maybe that was because they saw the church actually succeeding; they saw revivals in which many thousands were saved and the work of the Holy Spirit was very obvious. But from 1826-50, so much that was negative began to be sown in, as we have seen. The tares were sown into the world, with the rise of cults and so on; and in the church the leaven of dispensational teaching and false doctrine began to spread and permeate everything. From 1909, when the Scofield Bible was published and so many people read it and adopted the dispensational premillennialist views it reflected, the predominant mindset became very pessimistic. There was a great deal of scientific and philosophical attack on Christian belief, Darwinism began to become generally accepted, and two World Wars seemed to indicate that far from getting better, things were getting much worse. A whole generation which had been impacted by the Welsh revival saw its young men wiped out in the First World War. And even after the Second World War, the pessimism continued into Cold War, a period of intense uncertainty in which nuclear destruction looked to be a distinct possibility. So much went into print at that time identifying Russia as the Beast or the Antichrist or whatever – and now those books are completely obsolete. It didn’t stop the same thing happening with the Common Market in Europe, which was supposed to be the twelve heads of the Beast coming out of the sea in Revelation – and how many nations are there in the EU now? Then it was going to be Saddam Hussein. Well, he is no longer around either. North Korea next…? All this material was written by authors looking at the prevailing conditions and trying to interpret them using biblical prophecy; looking at events in the world and imposing that onto Scripture, instead of the other way around. When we read biblical prophecy, we want to allow it to tell us what is (or was) going to happen. We do not want to interpret it from looking at the newspapers or the television news. Around 1960 there was a turning point, the charismatic renewal movement, when the Holy Spirit was poured out across the churches. That has led on to the whole prophetic movement, and the restoration of prophetic and apostolic ministry. With that has come fresh revelation – and a fresh challenge. It has caused warfare within the church, because when you challenge a status quo which is dominated by the enemy you get Jezebel spirits and all kinds of demonic activity being stirred up. They do not like the truth being preached when they have had things their own way for so long. We need to preach the truth. The truth is that the kingdom of God is going to fill the earth. The truth is that Jesus is going to come back for a victorious church. The devil would just love us to believe that we are going to be defeated, because then our faith would be in that defeat. But our faith is in victory, in overcoming, in seeing God’s kingdom fill the earth. Attribution: “Rome-Capitole-StatueConstantin” by I, Jean-Christophe BENOIST. Author Freedom ARCPosted on Friday 19 October 2012 Wednesday 14 June 2017 Categories Prophetic TimetableTags end times, Eschatology, False doctrine, Holy Spirit, Kingdom of God, revelation12 Comments on 71. Defeat? Or Victory? Last time, we saw how important it is to know what we are expecting when Jesus returns. In light of that, we began looking at the Millennium, the thousand-year reign of Christ on the earth (or not). In this post I want to give you a little more understanding of the three main views people hold on this, and next time we can go on to look at what the church has believed over the centuries. Jesus will return to set up a literal 1000-year kingdom on earth, in Jerusalem – and re-establish the whole Old Covenant sacrificial system. My immediate question is: why? Why would He want to set up sacrifices again when He is the sacrifice? Once and for all, it says (1 Pet 3:18, Heb 9:28). So to me that now seems like a really strange way of thinking – but I used to think that way, because that is what I was taught. I didn’t even know there was any other way. Every book I ever read said that was the way. Until God started to speak to me about the kingdom, and how the kingdom needed to come; until I began to look for it myself; and that is what really changed things for me. Premillennialists teach that there will be a series of key events that occur before the millennial rule of Christ on earth. These events include the secret rapture of the church and a seven-year time of tribulation. They hold various opinions about when the rapture will occur, and these can be summed up as pre-tribulation, post-tribulation, or mid-tribulation. Whereas we have seen that the Great Tribulation has already occurred, and that Jesus said there would never be another one like it. We have also seen that the rapture was not at all what we thought it was. 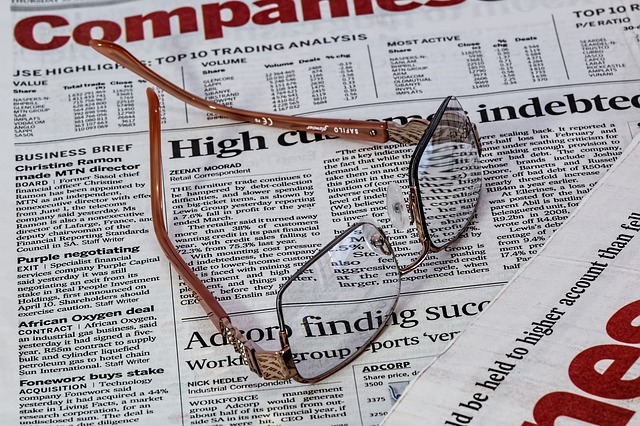 One of the problems with the premillenialist position is that there is a tendency to interpret things not in light of what the Bible says, but in light of history, current events, and the news on TV and in the papers. They contend that they hold to a literal interpretation of prophecy and scripture, whereas in fact they are very selective in what they believe literally, and actually have a very symbolic interpretation of what they see as things to come. For them, the kingdom is future, and a literal 1000 years on earth with Christ. The book of Revelation is seen as also mostly future. Amillennialism is the belief that there is no literal millennium. It teaches that there is no future millennial earthly rule of Christ. Amillennialists tend to have an allegorical interpretation and non-literal approach to prophecy. For them, the events mentioned in the book of Revelation reveal that the situation in the world will continue to worsen before Christ returns. Christ will one day return to rescue the church. He will not be coming to establish a millennial rule on earth but to usher in the age to come. This view can often seem very pessimistic, because it does not see prophecy being literally fulfilled on earth, so all the promises of God are just spiritualised, and do not actually relate to our present reality. For them, the kingdom is present now – but only in heaven. The book of Revelation is being played out presently in the church age, and the events it portrays happen in every age, throughout history. Jesus returns after His people rule spiritually on earth. The 1000 years is not a literal figure, it simply represents a long period of time. Postmillennial theology teaches that the Church will be triumphant as a result of the gospel impacting the world. After this, Christ will return, and believers will then enter the eternal state, or the age to come. When the church has finished its task, to see God’s kingdom come and fill the earth, then Jesus will return and we will enter the age to come. In this view, the kingdom is present and will expand to fill the earth before Christ’s return. The prophetic promises of God are expected to have all been fulfilled by then. The book of Revelation is mostly historical – talking about the destruction of Jerusalem – but continues to be applicable to the church triumphing over persecution, and overcoming, throughout history. This view seems to me to be in line with what Jesus taught. As we have seen, He said He was coming on the Last Day, the day of resurrection and judgment – and our guiding principle must be to interpret everything through what Jesus said.